In Massachusetts, homeowners' associations, also called HOAs, are not governed by a particular law in the way that condominium associations are. Generally, condominiums are preferred by developers when trying to create housing arrangements with shared common spaces among different unit dwellers. Often, a homeowners’ association is created in order to own one shared facility, such as a road or water treatment facility. If you have questions regarding the formation or operation of a homeowners’ association, the Boston real estate lawyers at Pulgini & Norton can assist you. What is the Legal Basis for a Homeowners' Association? 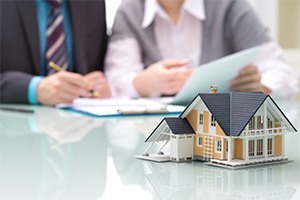 Generally, a homeowners' association must file Articles of Incorporation with the Secretary of State in order to be formed as an incorporated nonprofit under Chapter 180 of the Massachusetts General Laws. A declaration and bylaws are drafted and used to manage the association and property, and sometimes resolutions are drafted later in order to provide added rules and regulations. Nonprofit corporation statutes apply to homeowners' associations, but the Condominium Act does not. What is the Function of a Homeowners' Association? A homeowners' association is a legal entity that manages and maintains a housing development, such as single-family homes or townhomes. Usually, the original developer creates the homeowners' association and drafts the initial rules of the community. The association collects assessments and fees from homeowners and enforces the community rules. In most situations, the common areas overseen by a homeowners' association are more limited than they would be in a condominium arrangement. How Does Each Homeowner Know the Extent of His Title? As with condominiums, a homeowners' association must record a map or plat that defines each homeowner’s title as well as which common areas are controlled by the homeowners' association. May a Homeowners' Association Impose Restrictions on the Use of the Property? Yes. CCRs, or Covenants, Conditions, and Restrictions, must also be recorded alongside the deed. They will spell out any limitations on ownership and use. A homeowners' association may impose restrictions related not only to the use of a particular home but also to landscaping and architecture. Like a condominium association, the homeowners' association will elect directors, determine a budget, and assess charges to homeowners in order to pay for the maintenance of common areas. Does the Massachusetts Condominium Act Apply to a Homeowners' Association? No. Homeowners' associations do not need to follow the Condominium Act, but they also do not get the special statutory protections available to condominium associations. For example, they do not necessarily have a super lien on a unit in cases in which a homeowner fails to pay fees, dues, or assessments, as detailed below. Does the Massachusetts Restriction Statute Apply to Homeowners' Associations? The Massachusetts Restriction Statute was enacted to allow for the expiration of any obsolete deed restrictions. HOA deed restrictions often expire after a specified period. In order to extend them, the governing documents must provide for an extension that is either automatic or goes into effect with the approval of a percentage of the owners. In a 2011 case, One Salem Street v. Joseph Marchese, the Superior Court held that older restrictions had properly been extended under the Restriction Statute and that the Restriction Statute did not terminate a homeowner's affirmative obligation to pay dues to the homeowners' association in that case. It is important for developers and homeowners' associations to be aware of the need for the governing documents to spell out whether restrictions may be extended. May a Homeowners' Association Place A Lien on a Home? Most homeowners' associations are authorized to place a lien on a home if the homeowner is delinquent in paying fees or assessments. The governing documents for the homeowners' association may provide that authority. The lien may attach on the date that the assessment is due, and in some cases, the homeowners' association records the lien in order to give notice to others of the lien. This may cloud title. However, unlike a condominium association, the homeowners' association does not automatically receive a statutory super lien. By statute, a condominium association may place a super lien on a unit in cases in which a unit owner fails to pay fees. This super lien takes precedence over a mortgage. This is not necessarily the case for homeowners' associations. The governing documents must spell this out. If you are involved in a homeowners' association, the above FAQs may be helpful. However, this is only general information, and the governing documents for your particular homeowners' association may provide different terms. At Pulgini & Norton, our experienced Boston real estate attorneys can provide sound legal advice and representation. We can guide buyers, sellers, associations, and lenders in Malden, Waltham, and Andover, among other Massachusetts communities. Contact Pulgini & Norton at 781-843-2200 or through our online form to set up a consultation with a homeowners’ association attorney.